cost See below or contact us for details. 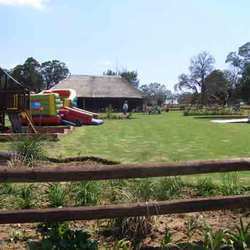 Kinglets & Queenies is a well maintained, upmarket children's party venue in Ruimsig, Roodepoort. 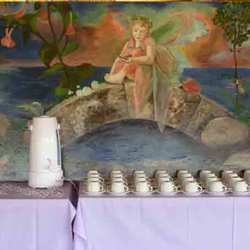 The owners are a mother and daughter team with great knowledge of children and their needs. 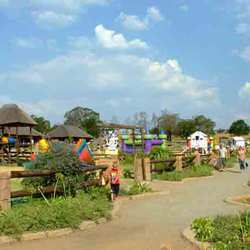 They have transformed a four hectare plot into a kiddie's paradise where children can enjoy a uniquely different party with the theme of their choice. 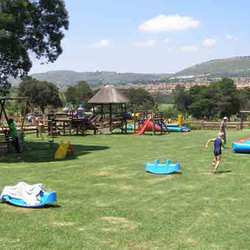 We have open days on Wednesdays from 12:00 - 17:00 where kids can play and mommies relax. Please note that bookings are essential for all visits. 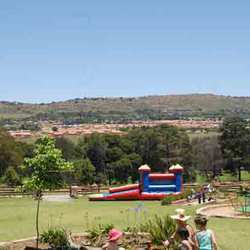 Adults and children alike are thrilled by the numerous venues on offer. 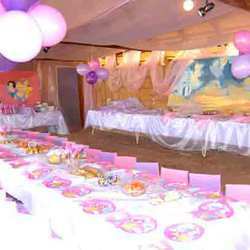 Each venue is private, and boasts a large play area, its own trampoline, jumping castle, jungle gym, pony see-saw, rocking horses, round-a-bout, sand pit and more. 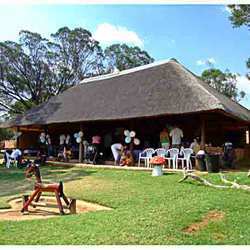 There is also a 6 x 13 m thatched lapa, complete with toilet facilities and baby changing station on each venue. 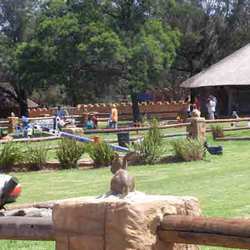 Gives city kids the chance to cuddle up to the cutest farmyard animals and even ride a horse like a real cowboy. Will have little girls and boys in total ecstasy as they get to explore the magical world of fairies. * The Classic Celebration venue. Adventurous kids can pay tribute to their favorite cartoon hero or let the creative juices flow by having a craft party. 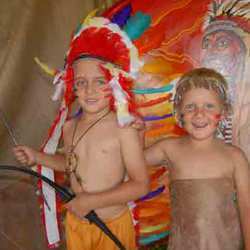 is any boy's dream come true: Sail the seven seas and explore the unknown oceans. Great fun for boys and girls who like walk on the wild side! We will also tend to all your catering needs and have a large bakery on the premises, ensuring fresh and tasty platters and creatively designed birthday cakes. With something for everyone, kids of all ages can be sure that their special day will be an experience they will never forget! For more information on this Magical Wonderland, contact us today!